There is a long and colorful history of bars that have opened in Washington State. One of the oldest bars in Washington is The Brick. In 1889, John Buffo and Peter Giovanni built a tavern at 1 Pennsylvania St. in Roslyn, Wash. After a fire, the bar was re-built in 1898 out of 45,000 bricks and took the name "The Brick." The Brick gained national fame when shots of the exterior of the building were used for the fictitious tavern of the same name in the popular television show "Northern Exposure." 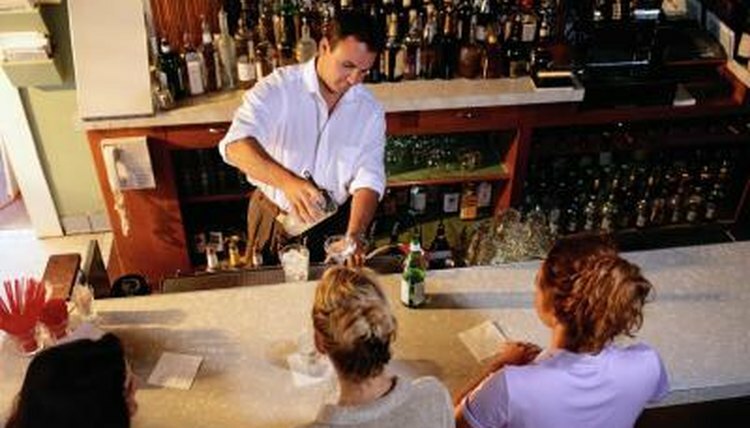 If you wish to open a bar in Washington State, you need to abide by the state's rules and regulations. Register your trade name. If your business is a corporation, it must be registered with the Washington State Corporation Commission. Choose a location. Consider the amount of both foot and auto traffic at the closest street intersection. Does the location have adequate parking? Are there city or county ordinances in place that would prevent or hinder the type of events or entertainment you wish to offer? Will the site pass a fire code and health inspection? Contact local city and county authorities to request an inspection prior to committing to a lease or purchase of the location. Apply for a state tax registration number and identification. Your liquor license application is perhaps the most important license you will need. You cannot open a bar, pub, cocktail lounge or cafe that serves alcohol without it. Fill out carefully and completely. This process can take several weeks to complete. It will expedite the process if information is up-to-date and accurate. Keep a copy for your records and submit all forms by certified mail. Complete a U.S. Department of Treasury Alcohol Dealer Registration. Mail it to the address on the form. Affeld, Marlene. "How to Open a Bar in Washington." , https://legalbeagle.com/5777042-open-bar-washington.html. Accessed 20 April 2019. What Is a Florida 4Cop License?